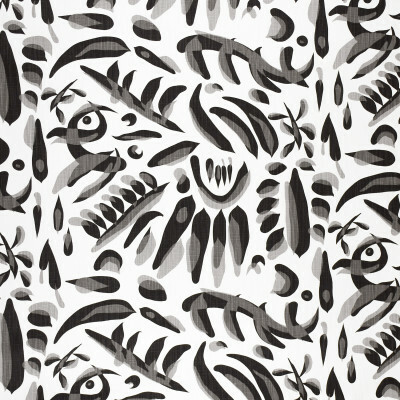 Embrace a contemporary, modern feel when using this abstract, whimsical black, gray, and white print. The various dark foliage-like strokes sweep across a crisp white background to add depth and dimension. Ideal for use on drapery, pillows, side chairs, or bedding.